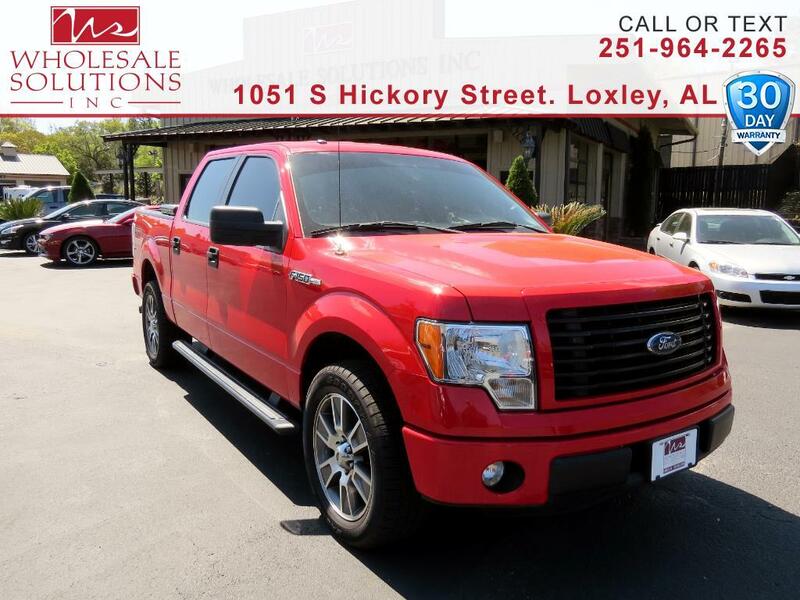 Used 2014 Ford F-150 2WD SuperCrew 145" STX for Sale in Loxley AL 36551 Wholesale Solutions Inc.
CARFAX One-Owner. ** Clean **, *** DEALER WARRANTY ***, ***Financing Available***, *** Nice Truck ***, Tool Box, TRAILER PACKAGE, 5.0L V8 FFV, 3.73 Axle Ratio, Black Billet Grille Insert w/Body-Color Surround, Black Tubular Running Boards, Center Console, Power windows, STX Sport Package, Wheels: 20" Machined Aluminum Painted. Priced below KBB Fair Purchase Price!